The design and construction of the development at 227 Bath Road, Slough – including all necessary preparation works and demolition works to create the conversion of the commercial premises into residential, consisting of 58 apartments together with all associated external works. 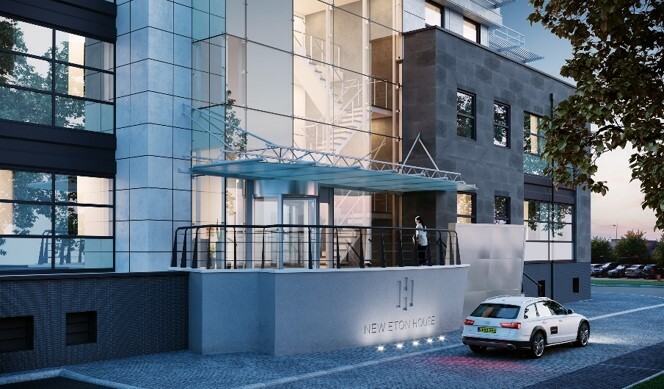 “New Eton House” boasts 58 Boutique Luxury Apartments, distributed across 3 floors, including a spacious contemporary reception/lobby. The development offers 82 private parking spaces, including 2 electric vehicle charging points. Fellows appointment as Project Manager, Cost Manager and Employer’s Agent includes working closely with the design team to ensure that the project; from its inception through to completion, exceeds the client’s expectations. This will be achieved through our experience, knowledge and ingenuity to produce an aesthetically pleasing, useable building while remaining within budget. Our diligent and pragmatic approach to cost and project management has resulted in a strong bond between Client, Contractor and Fellows, which we aim to maintain from project inception to completion and add value through excellent management skills.